Panoramic Projection Snowman Wearing Top Hat! 7’ Tall x 5’ Wide x 4’ Deep! NEW TECHNOLOGY! 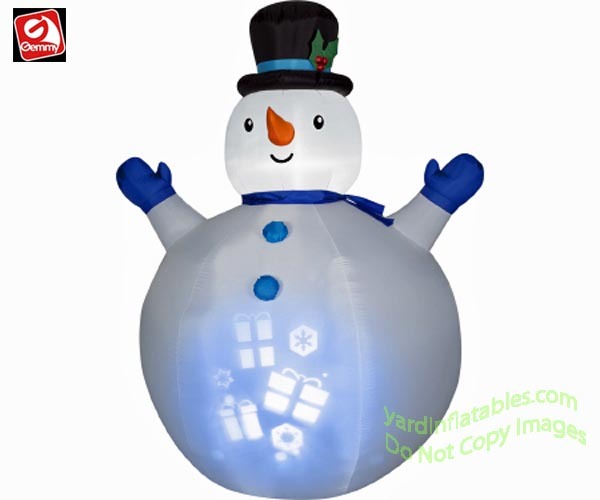 There is a projector inside the inflatable that cycles different holiday pictures onto the snowman’s body! 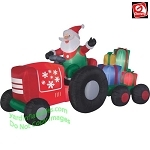 This Gemmy Air Blown Inflatable Christmas Decoration comes with built in fan, internal Panoramic Projector to create glowing holiday pictures, yard stakes, and tethers.